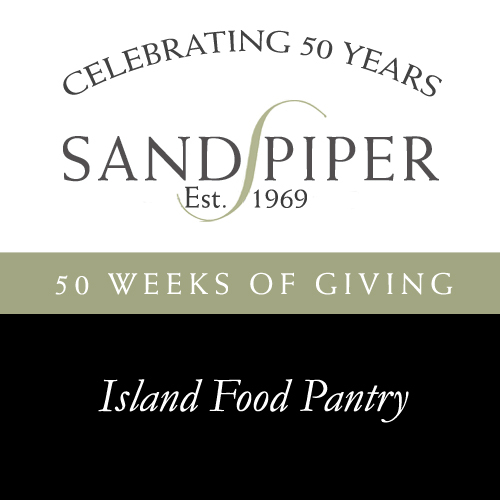 In celebration of Sandpiper Realty and Sandpiper Rental’s 50th Anniversary, we are making $200 donations each week throughout the year to local non-profits. The second donation of our 50 Weeks of Giving initiative is going to the Island Food Pantry. The Island Food Pantry actively works to make food available for those in need, year-round, on Martha’s Vineyard. Distributions are at the Christ Methodist “Stone” Church in Vineyard Haven on Monday, Wednesday and Friday from 2-4PM. To make a contribution to this worthy organization, either by donating food, making a monetary donation, or volunteering, visit www.slandfoodpantry.org/give.